It used to be that if you wanted to drink good wine you only had a few choices: Bordeaux, Burgundy, Champagne, Napa, etc. Not so anymore. We have access to great wines from all over the world. These days, sommelier’s are always on the look-out for the new and different; something that will ‘wow’ the customer. So, Bordeaux has become pedestrian in a lot of somm’s eyes. That’s a shame because these are still some of the most exciting wines on the planet. Let’s look at Bordeaux and see if we can dispel some of these generalizations. Bordeaux is one of, if not the most, well-known wine region in the world. But it’s suffering from an identity crisis as of late. The region has fallen out of favor with a large swath of the wine drinking public for many reasons. First and foremost is its’ image as a stuffy wine region with its’ grand Chateaus and hefty price tags. Not only that, we’re told that we need to wait a decade or so to truly understand and appreciate the wines. Some say it’s also too confusing with all its appellations and talk of Right Bank vs Left Bank. Oh, and they don’t put the name of the grape on the label. Lots of reason to shy away from Bordeaux but you need not as there is a lot of great wine being made at very reasonable prices. First off, most Bordeaux is very reasonably priced. By this, I mean that there is a lot of really good wine in the $12-$20 range, but you have to look hard. How can this be when all we read about is the greedy Chateau owners raising prices year after year? Yes, this is a fact. There are greedy Chateau owners who raise prices, even in not so good vintages. But these are just a small fraction of the 10,000 producers or so in the region. You read that correctly, 10,000 producers, give or take a few hundred. Only the top Chateau in the Classifications can get away with raising prices every year. They do so because they are fairly certain that their wines will sell as the demand is usually greater than the supply for the top wines. 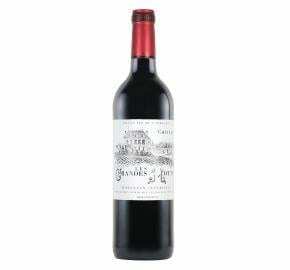 There’s also the way in which the top Chateau sell their wines that buoys prices. It’s called ‘en primeur’ and it’s taken a big hit lately with some Chateau dropping out altogether. Only the top couple of hundred Chateau participate in en primeur. The rest sell their wines through the classic distribution channels and the supply far out strips the demand for these properties. In fact, every year more and more of the lesser Chateau are on the verge of bankruptcy because there is just too much wine flowing out of Bordeaux and they can’t charge enough to cover their costs. Why are Bordeaux wines shunned these days? Classic things, like cars, planes, boats and wine are called classic because, well, they’re classic. They’ve stood the test of time. The classics have put their time in and others are compared to them, not the other way around. Bordeaux is a classic wine region as is Burgundy, Barolo, Chianti, Champagne and others. Wine fads will come and go but the classics will remain. There is no shame in professing your love for Bordeaux regardless of what others think. And there is just something special about opening a bottle of these Cabernet and Merlot blends with their dark black fruits, cedar, tobacco and a touch of oak along with firm tannins on its medium bodied frame. Bordeaux is rarely as extracted as Napa Cabs and their weight makes you want to take another sip. They are also great food wines. And, no, you do not have to wait years to enjoy them. Look to the larger appellations on the label such as Bordeaux, Medoc, Haut-Medoc and Graves for wines that are ready upon release. Sure, the top wines reward cellaring but most Chateau also make a second and sometimes a third wine from the younger vines or the not so good blocks. These are often wines meant for immediate consumption or can be cellared for a few years. They are also great bargains. Finally, Bordeaux does not have to be confusing, as long as you know your banks. The wines of Bordeaux are almost always blends of different grapes with either Cabernet Sauvignon or Merlot dominating. The Right Bank of the Gironde Estuary is home to Merlot dominated wines such as Pomerol, St. Emilion and Fronsac. The Left Bank is home to Cabernet based wines such as Medoc, Graves, St. Julien and Margaux. These are the names you’ll see on the labels. Of course, there are always exceptions to the rules when it comes to grape variety and blends. If you have a wine that is labeled Bordeaux or Bordeaux Superieur, chances are it is Merlot based and comes from the Entre-Deux-Mers region of Bordeaux. Another labelling term to look for is Cru Bourgeois. These are some of the best value wines in the region and most are consistently good year after year. The whites of the region are now usually Sauvignon Blanc based with some Semillon added for complexity. Vintage is very important in Bordeaux. A big reason is the region’s proximity to the Atlantic. It gets wet here. The season can be bookended by frost, summer storms are a problem and there is lots of cloud cover which tends to interrupt photosynthesis. Therefore, ripening can be tricky. Once upon a time in Bordeaux each decade would have 3 great vintages, 3 bad vintages and 4 average vintages. Now, if you believe the Chateau owners, almost every year is the next vintage of the century. Some of the recent vintages to look for are 2000, 2001, 2005, 2007 (considered not so great but they are drinking really well), 2009 and the fantastic 2010, 2012-15 are all good as well. So, grab a bottle of Bordeaux and experience a truly classic wine region. Below are two wines to try. This, absolutely delicious, wine comes from the Lalande de Pomerol appellation on the right bank. Lalande de Pomerol appellation lies right next to the smaller and more prestigious Pomerol appellation. The wines of both are Merlot based but there is one significant difference. Lalande is larger both in terms of acreage and production. So, there are more bargains to be had. The property is in the hands of Martine Riviere. Her grandfather established the Chateau in 1912. This is a blend of Merlot, Cabernet Franc and Cabernet Sauvignon. It is drinking beautifully now. The wine, from a great vintage, is at its’ peak and will remain there for several more years. The nose is full of stewed fruits, cassis, underbrush, tobacco and leather. The palate is fresh with bright acidity and firm, ripe tannins. This shows a restrained power along with and elegant finesse on the finish. oked here in the US. This is young but is approachable with fully-ripened raspberries, cassis and cherry. Just a touch of oak to go along with mineral notes and dried eucalyptus all lead to a long finish. I get asked this question a lot when the subject of Italian wines comes up. Someone always comes up to me and asks, “So, what’s the deal with Super-Tuscans?”. It’s not as easy to answer this question as you may think. First let’s look at how wines are categorized in Italy and then we’ll see where Super-Tuscans fit in. Italy adopted the appellation system for wines from France in the 1960’s, about 30 years after France initiated theirs and which all other appellation systems are based on. In France it is called the Appellation d’Origine Controlee or AOC. It is used not only for wines but for cheese, butter and other agricultural products all based on the idea of terroir or place. The origins of the modern French AOC system date back to the early 1400’s when Roquefort cheese was regulated by parliament to protect the name. In essence an AOC is a controlled place-name. In Italy the equivalent is called Denominazione di Origine Controllata (DOC) and Denominazione di Origine Controllata e Garantita (DOCG). In order for wines to qualify for the DOC(G) designation the producer must grow, or source, the grapes from the designated geographic region, make the wines in the region and follow strict rules regarding grape variety or varieties, yields, production methods, aging requirements which may include the size and type of vessel, and other things. In addition the wines must pass a blind tasting and chemical analysis before being awarded a seal of approval for the neck of the bottle. Some of these DOC(G)’s are very rigorous and demanding for the producer. This is all done to protect the name and reputation of the DOC(G) and give a wine that shows typicity of the place where it is produced (terroir). An example wine would be Chianti and Chianti Classico, both DOCG’s. 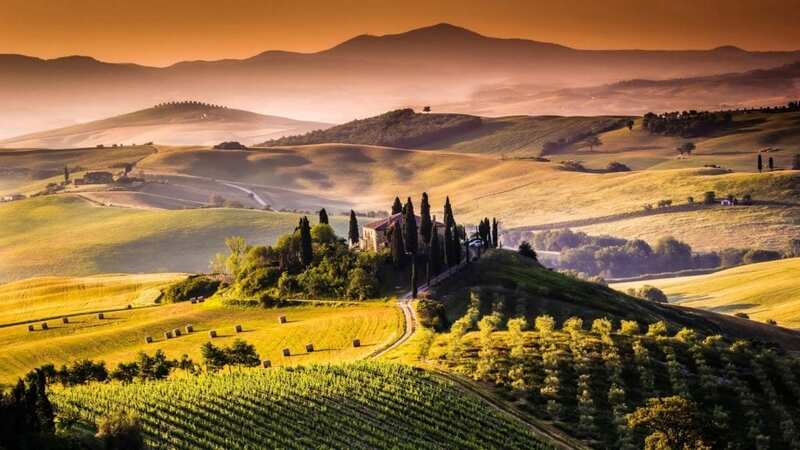 For the wine to be called Chianti it must come from the geographic area designated as Chianti, in the heart of Tuscany. This area has been expanded over the years to accommodate increased production and is now very large. Chianti Classico on the other hand is a smaller, better DOCG which is in the historic heart of the Chianti region. It lies in the hills between Florence and Siena. Both wines must contain Sangiovese. Chianti must contain a minimum of 70% Sangiovese and the balance can be made up of traditional and international red grapes and a 10% maximum of white grapes. The wine can be 100% Sangiovese. Chianti Classico must be made from a minimum of 80% Sangiovese. The producer can then round out the wine with traditional and international red grapes. White grapes are no longer allowed in Chianti Classico and the wine can be 100% Sangiovese. Producers must then follow all the other rules pertaining to yields, alcohol levels, aging, etc. These are just 2 of the over 300 DOC(G) wines in Italy today. So, what if you are a producer in Tuscany who doesn’t want to follow all the rules and regulations of the DOC(G)? Maybe you are a producer in the Chianti zone but want to make a wine using only international grapes like Cabernet and Merlot. That’s perfectly legal but you cannot call your wine Chianti. It does not adhere to the rules of the DOCG. Or, maybe back in the 1960’s and 70’s, you are on the coast of Tuscany, in no-man’s land, and want to produce a Bordeaux blend. That was, and still is, legal but what did you call your wine? There were no DOC or DOCG wines that these would fall under so your wine was just a table wine or Vino da Tavola. This is where the Super-Tuscan’s come in. Super-Tuscans came about in the 1960’s and 70’s. They were high-priced, high-quality red wines that did not fit into any of the new official categories or DOC(G)’s. The wines were something not seen before in Italy. They were made with international grapes or non-traditional blends and aged in small, new French oak barrels. The bottles had fancy labels with fantasy or proprietary names. Since these wines did not fit into the DOC(G) system they had to be labeled as lowly table wines or Vino da Tavola. This was considered scandalous due to the high prices these wines were fetching. How could a lowly table wine cost more than a classic DOC(G) wine?! The first of the Super-Tuscans was Tenuta San Guido’s Sassicaia produced in the town of Bolgheri on the Tuscan coast. Tenuta San Guido was established by marchese Mario Incisa della Rocchetta. The wine was first produced in 1948 from Cabernet Sauvignon and intended for the family’s consumption only. In 1968 the machese’s son Nicolò and nephew Piero Antinori convinced him to release it commercially. The first vintage was in 1971. Demand soon skyrocketed and the marchese hired the famous consulting enologist Giacomo Tachis to further refine the wine while production increased. Today the wine is mostly Cabernet Sauvignon with some Cabernet Franc. It is extremely expensive and in very high demand. The idea behind Sassicaia was to produce a wine that would rival that of Bordeaux from an area that was relatively unknown but had great potential with Bordeaux grapes. Others followed. Since this was a part of Tuscany not covered by any of the newly formed appellations or DOC(G)’s, the wines were labeled as simple Vino da Tavola. But Sassicaia and the other coastal wines were just the beginning. In the early 1970’s a revolution was about to begin in the Chianti Classico region that would turn the appellation on its’ head and change it forever. At this point in time Chianti was synonymous with mass-produced, watered down versions of the original. Many producers were dissatisfied with the tired, old rules and regulations of the appellation. Back then white grapes were mandatory not only in Chianti but Chianti Classico. The inclusion of international grapes was forbidden as was making a wine solely from Sangiovese. Some producers took matters into their own hands and started to make the wines they wanted to make. Antinori introduced Tignanello and Solaia and others were not far behind. These were all wines based on Bordeaux varieties with or without the addition of Sangiovese. But it wasn’t all about Bordeaux varieties. In 1981 Sergio Manetti of the Montevertine estate, in the middle of the Chianti Classico region, was fed up. He felt that not only the mandatory addition of white grapes (white grapes are no longer allowed in Chianti Classico) but the addition of international grapes to make a more broadly appealing wine was doing a disservice to the noble Sangiovese. He was to become the champion of Sangiovese. So much so that in 1981 he produced his last vintage of Chianti Classico vowing to never again include any other grapes with his beloved Sangiovese. He produced the first 100% Sangiovese Super-Tuscan under the name Le Pergole Torte from the Montevertine estate 6 miles south of Radda in Chianti. This wine, like the other Super-Tuscans of the day fell out of the DOCG regulations and was labeled a Vino da Tavola. But Sergio didn’t care. Even after Chianti Classico changed the rules to allow a 100% Sangiovese based wine he refused to join the appellation. The success of the original Super-Tuscans eventually led to major changes in the Chianti and Chianti Classico DOCG’s. No longer were white grapes permitted in Chianti Classico, international grapes were now allowed in limited quantities and a 100% Sangiovese wine was now permitted. It also led to a new category of wine being approved in 1992, Indicazione Geographica Tipica or IGT. This is a category that is less strict than DOC(G). It is the equivalent of France’s Vin de Pays. It provides the winemaker more choice in terms of grapes and production methods. Sassicaia would eventually be awarded its’ own DOC (Sasscicaia Bolgheri) in 1994 and other DOC’s for Super-Tuscans would follow. Today the term Super-Tuscan is a bit overused and misunderstood. To some, a Super-Tuscan is any wine produced in Tuscany that is not DOC(G). But, as we have seen, some Super-Tuscans are now DOC wines! Super-Tuscans also used to be very expensive but today not all are. There are some that are quite reasonable. I think what those original Super-Tuscans did was to shake up the establishment and force the governing bodies and producers to take a hard look at the what was going on at the time. Quality was suffering and experimentation was stifled by outdated rules and regulations. Not all these new wines were good and many were criticized for not being typical of Italy. Some producers even abandoned using international grapes and winemaking and returned to more traditional practices. But these ground-breaking wines were instrumental in moving Italian wine from quantity to quality based and today Italy is making better wines than ever. If you’re a craft beer connoisseur that has traveled out west, chances are you’ve heard of the brewery New Belgium. Its roots are in Fort Collins, CO, where Jeff Lebesch took his Belgian inspired beer recipes and ideas from his travels through Europe, and brought them to life in a basement. The starter beers were the Abbey, an earthy brown ale, and Fat Tire, the amber ale that paved the way for the brewery and to this day is in many tap rooms across US. Thanks to the brewery’s expansion into it’s second home in Ashville, North Carolina, it’s been able to extend its distribution. The New Belgium legacy recently carried its tasty brews to New England, and right into the hands of Vermont beer drinkers. We’re excited to be distributing it to some of our favorite local watering holes! Fat Tire Belgian White Ale- This iconic ale has been satisfying taste buds ever since New Belgium started brewing it 25 years ago. It got its name from New Belgium’s co-founder’s Belgium countryside “fat tire” bike ride, hence the ale’s belgian roots. Dayblazer Easygoing Ale- This golden ale starts out with an initial honey sweetness, then rounds out with a subtle bitterness. Just as the name suggests, this beer is easy going at 4.8%. Good thing it comes in 24 oz cans! Citradelic Tangerine IPA- The blend of Citra hops and tangerine peel brings a refreshing, tropical taste to the palate with every sip. This well-balanced brew is perfect for beer drinkers who are looking to change it up. Drink this IPA outside on a sunny day and you won’t be disappointed. We’re pleased to have Goodwater Brewery joining us for our Baker’s Dozen Pub Crawl this Thursday! Goodwater Brewery is a 20 BBL brewery and tasting room located in Williston, VT. They began operations in the beginning of 2016, and currently produce a variety of brands in both kegs and cans. Their current lineup consists of 8 different beers in their tasting room which can be enjoyed in sampler flights, pints, or growlers to go. These include the Hoppy Side of Pale, Stange (kolsch-style ale) and their newest release, Hop Collusion IPA- a deliciously drinkable IPA featuring a blend of Simcoe and Citra hops. Other beers available in the tasting room include Proper Mild, inspiRED, Not for the faint of Tart, (Flemish sour ale), and current seasonal releases of Sweet Winter Brown and Porter 86. Be sure to visit their Facebook page for more information about current events and tasting room hours!